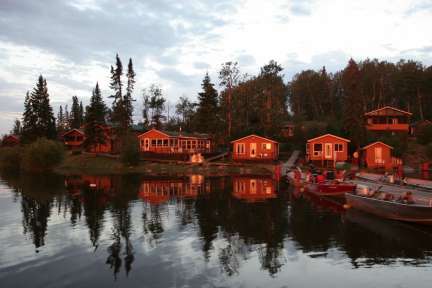 Deep in the woods of the northern Canadian wilderness an evergreen oasis awaits you. 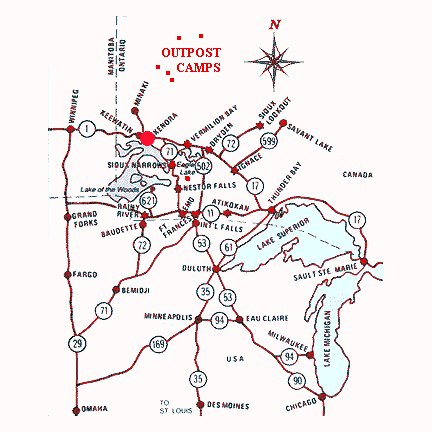 Oak Lake Lodge, located 210 air miles north of the United States/Canada border, is a fly-in only camp. 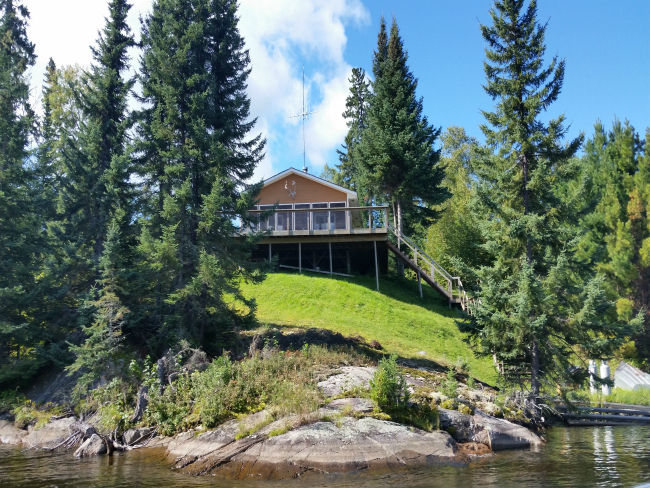 The secluded lakes, pristine waters and clean air that you can find only in our remote paradise combined with some of the best fishing in North America, make for an angler’s dream vacation. Although civilization is a long way off, we pride ourselves on our hospitality and make sure you enjoy all the comforts of home. An adventure in the wilderness doesn’t mean “roughing it”.Oak Lake Lodge is the only lodge on all of Oak Lake, catering to no more than 32 guests at a time.Our promises to you include: great fly-in fishing, excellent meals, wonderful service, clean and comfortable accommodations, exclusivity, well organized trips, professionalism and expertise at every corner. We have a private cabin for you and your friends, family or business associates. Enjoy the special attention we lavish on our small number of guests. 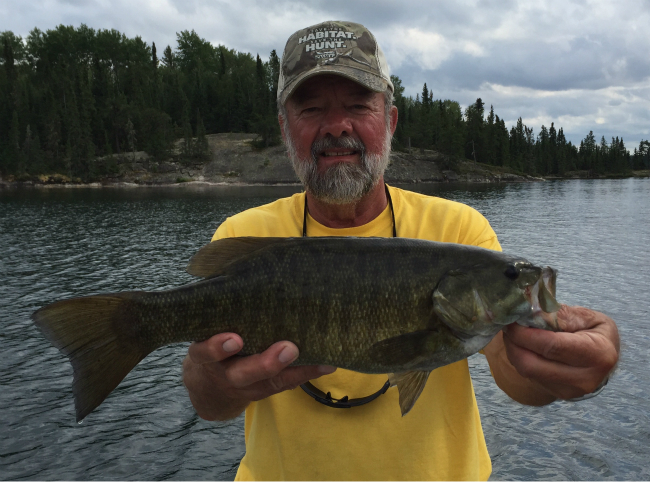 At the top of the English River System and in the heart of Northwest Ontario’s best fishing, Oak Lake boasts excellent Walleye, Northern Pike and Smallmouth Bass. 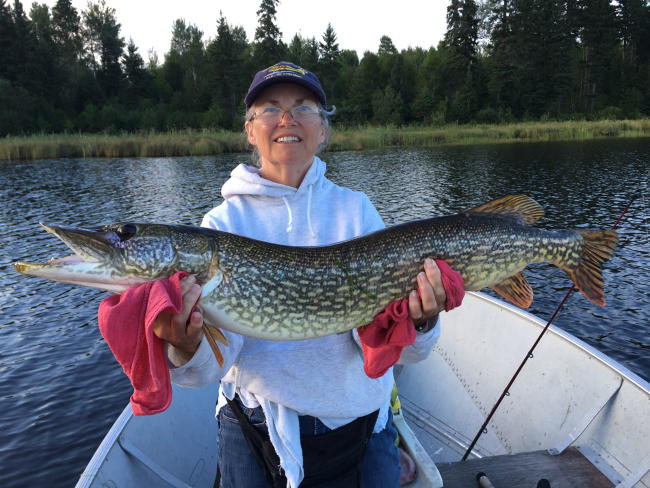 Portage to a small lake to angle exclusively for Smallmouth Bass and Northern Pike or take another short portage to a deep, clear lake and hook some Lake Trout.